It's amazing what can grow out of love! 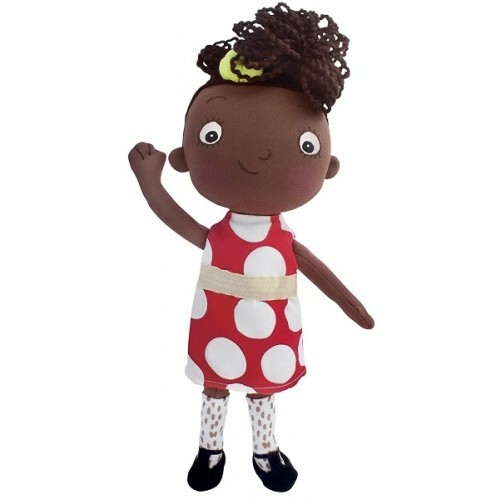 This beautiful doll from MerryMakers is the spitting image of the little girl from Cedilla Marley's book One Love, from her red and yellow dress to her pigtails and braids. 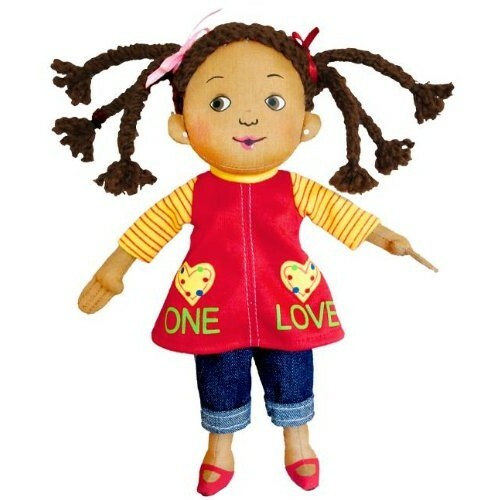 This 9" soft doll is the perfect companion for anyone who loves the book -- or the spirit of community action that it represents. 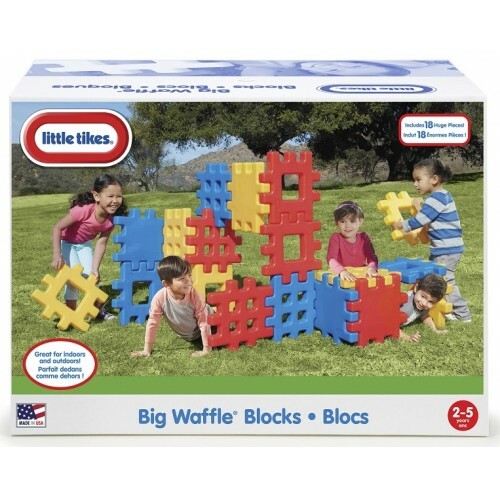 It's easy to build big ideas with the Little Tikes Waffle Blocks! 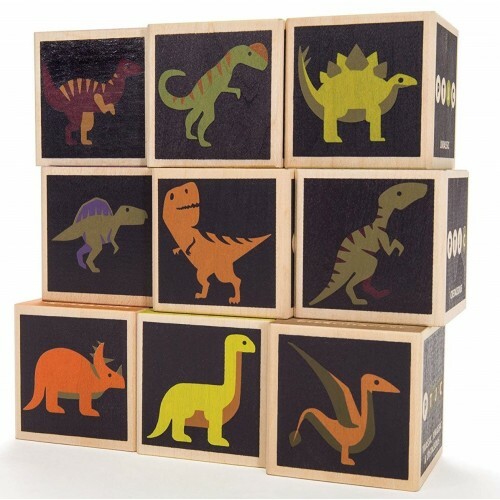 Eighteen blocks slot together in ways that encourage creative building, indoors and out. 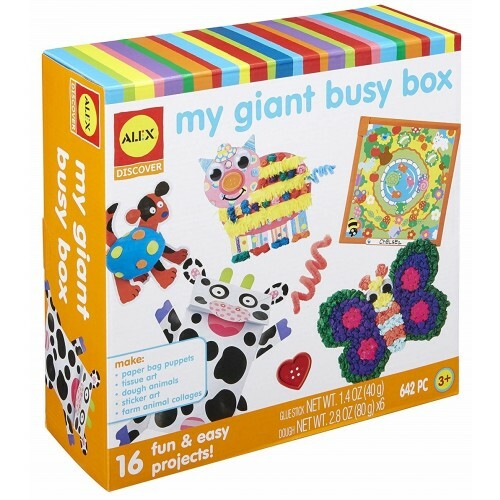 The 14 by 14 inch plastic pieces are durable enough to hold up to plenty of serious play, and a variety of cut-outs encourage kids to experiment with different possibilities. You'll be amazed at what she can create! 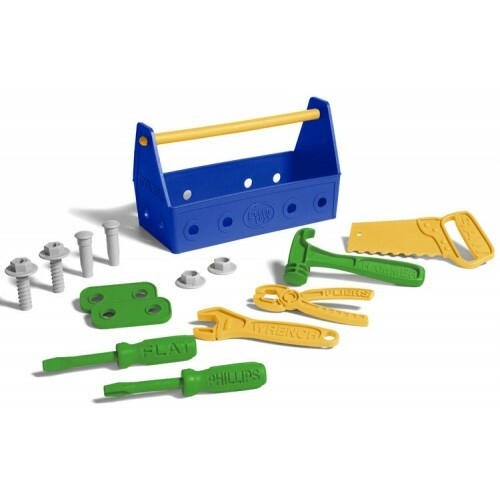 Whether using the hammer to pound in the nails, or the Phillips and flathead screwdrivers to tighten the bolts, kids love all the do-it-yourself projects that are possible with this set. Even the pliers open and close! Best of all, the pieces fit conveniently into the tool box for easy storage. 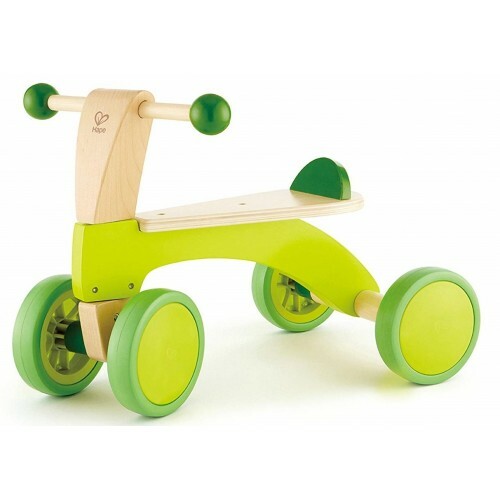 And parents will love that the pieces are 100% recycled plastic, made in the USA. 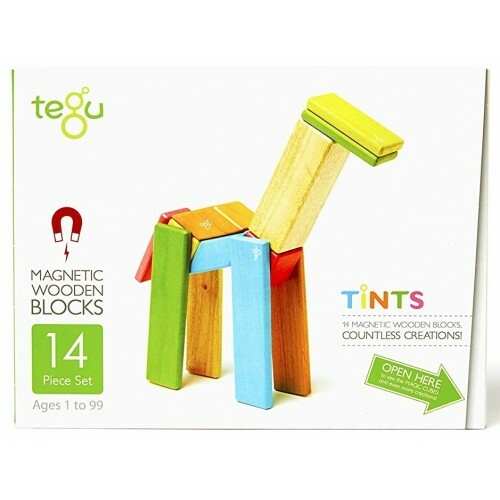 Unit blocks are a classic toy for a very good reason -- it's amazing all the things kids can build with these deceptively simple shapes! 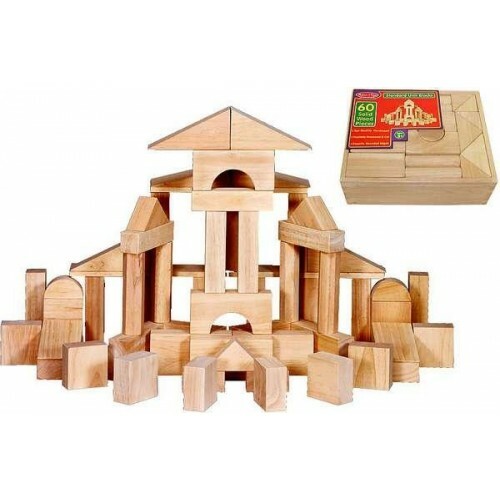 These smooth sanded hardwood blocks are comfortable in the hand and easy to stack, and come in a variety of creativity inspiring shapes including arches, columns, and more. 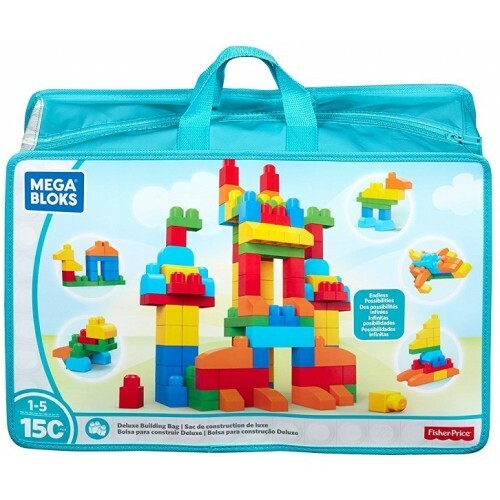 60 blocks are included, providing plenty of materials for kids with big plans! 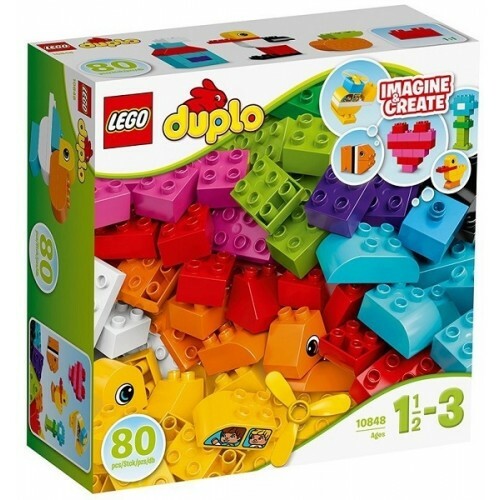 This set also neatly packs away in a wooden crate for when building time is done. 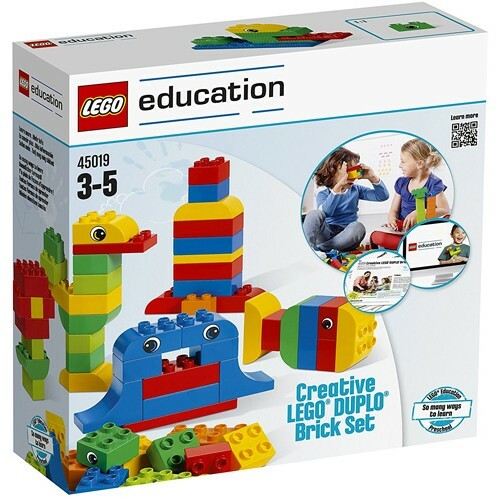 This beautiful maple train for Educo by Hape is actually a building block set! 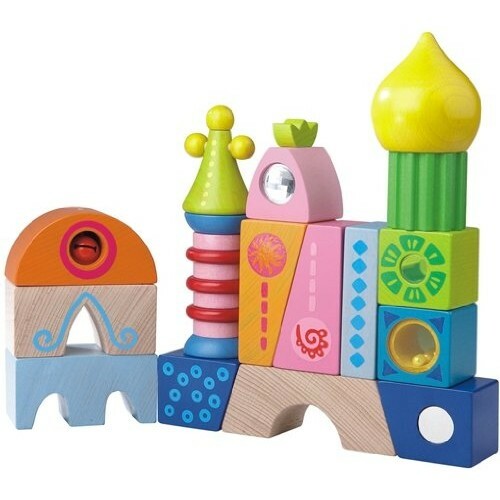 17 maple blocks in bright colors and patterns go together to create a fun train set for preschoolers. 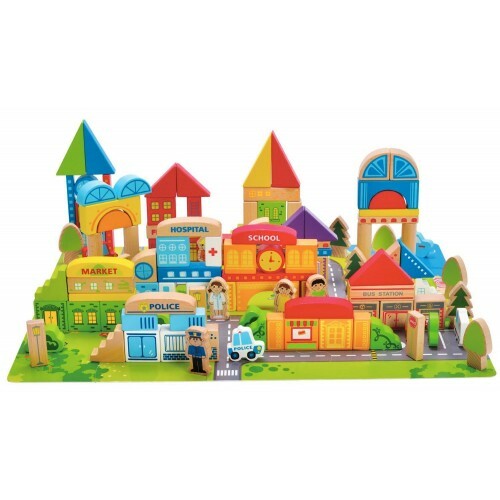 Kids will love using their imaginations to customize their train; parents will love the child-safe materials and finishes and Hape's commitment to quality. 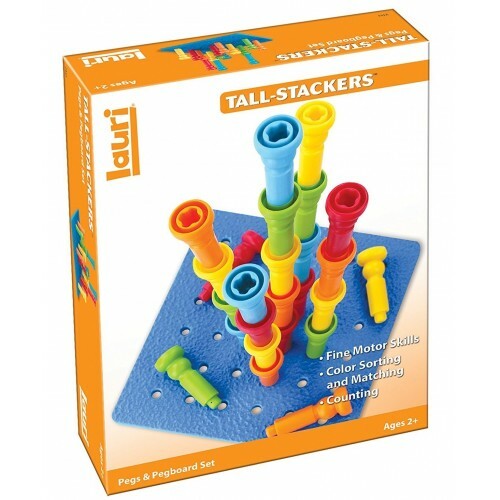 Kids can build to the skies with these Tall Stackers pegs from Lauri! 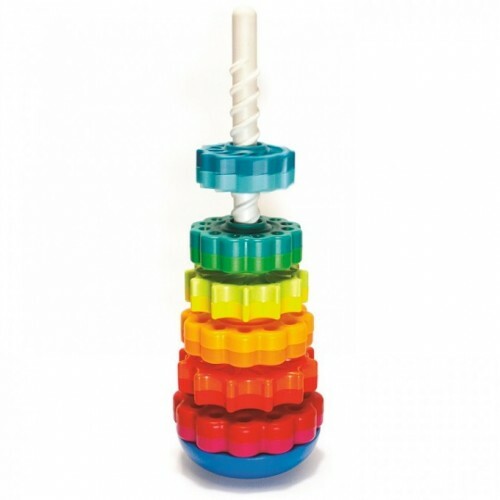 25 colorful pegs neatly tuck together to stack and build higher than kids have ever built before. 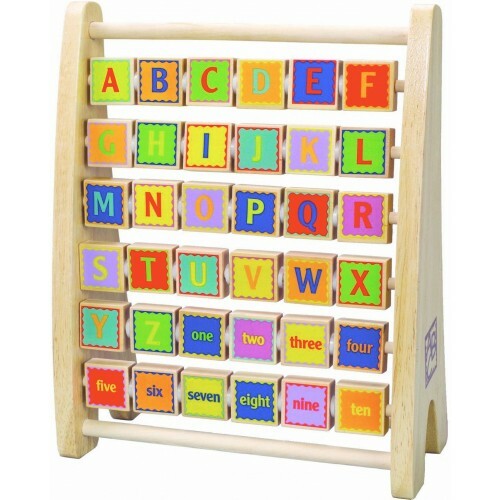 Stabilize them in the 8" square crepe rubber pegboard base, which has 36 holes so that kids can create a variety of designs. A list of suggested activities is included to get kids started, but we'll bet they'll be building on their own in no time. 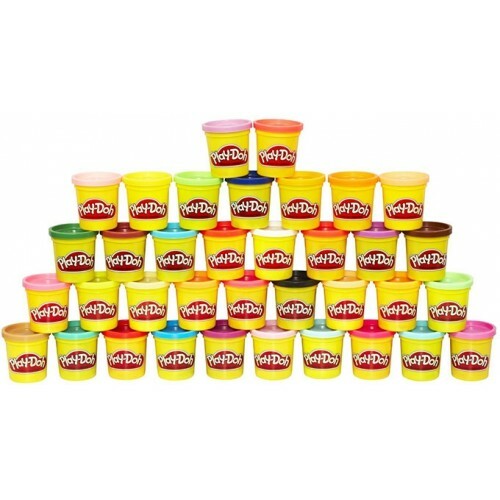 You'll have hours of molding, modeling, squishy fun with this 36-pack of Play-Doh cans -- each one a unique color! 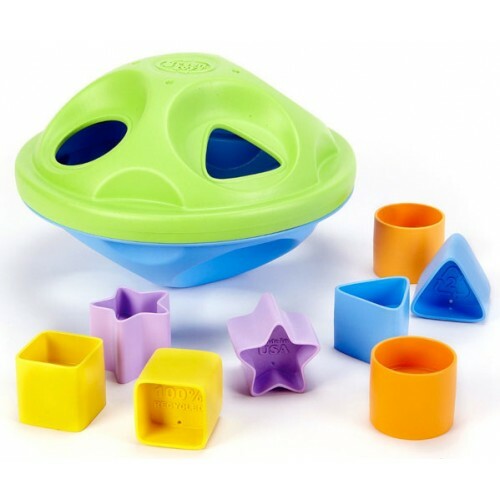 Each container holds 3 ounces of Play-Doh, perfect to roll, stretch, and shape. Bring them out a few at a time, or take them all out at once for a rainbow of possibilities. 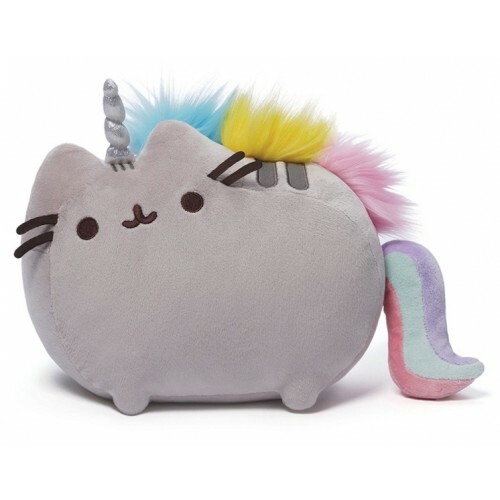 With so many colors to choose from, her imagination can really soar! 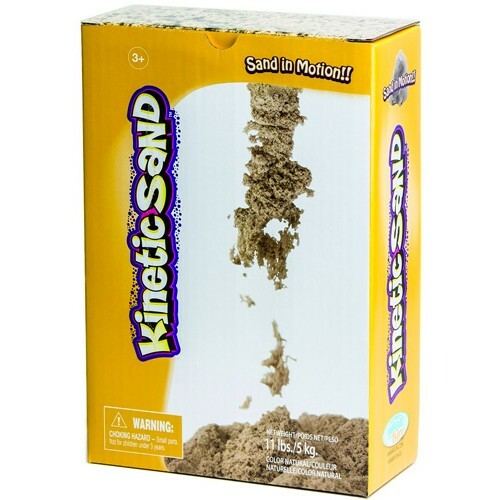 If you haven't tried Kinetic Sand yet, you're in for a treat! 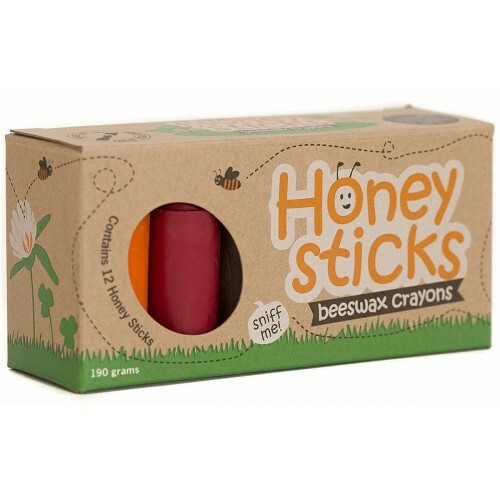 This unique play sand flow in your hand, and easily sticks for building sand castles and other play structures, then slowly slides back to flat. 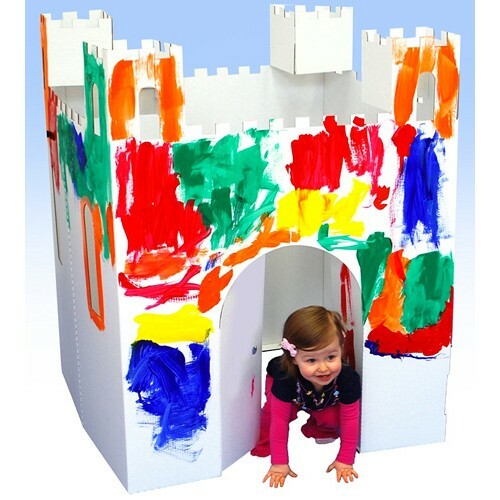 It makes no dust and it never dries out, so playtime can be anytime! Plus, cleanup is a breeze -- it gathers together easily so you can toss it right back in. 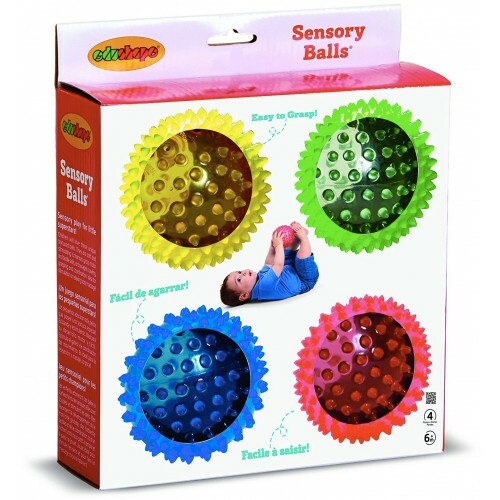 This non-toxic, gluten-free play sand is a unique option for sensory play. 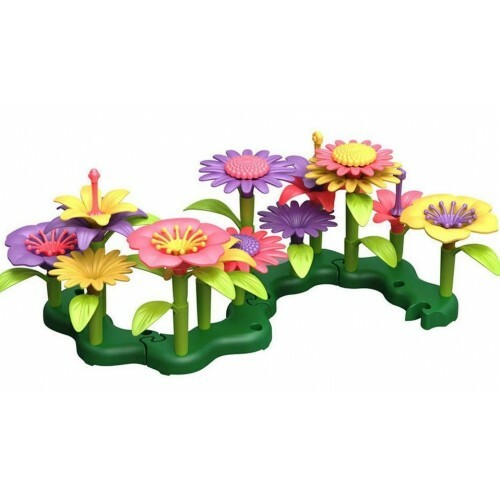 Make beautiful flower arrangements out of play dough with this handy set from Green Toys! 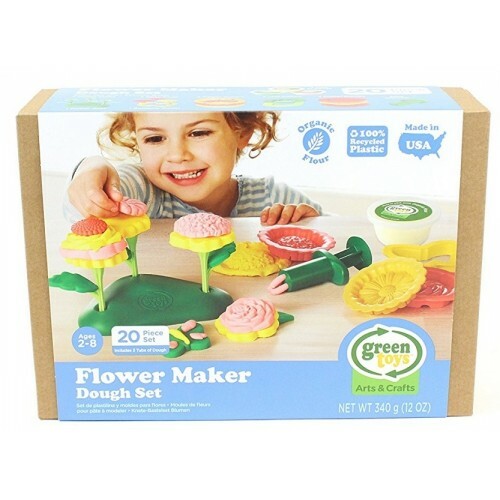 Kids can create petunias, daisies, zinnias, hydrangeas, and roses using the cutters and stamps, then add fun touches using the leaf molds, butterfly cutter, and more. 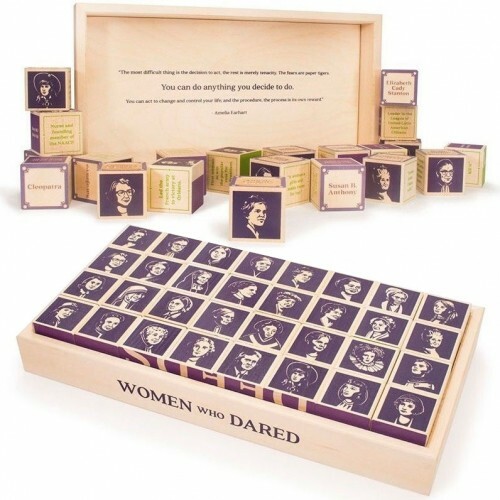 There are 21 pieces in this set, including three tubs of colorful dough that's made from organic flour and mineral-based colorant. 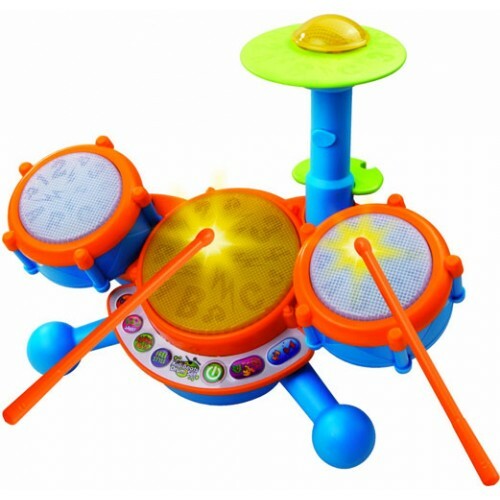 Rock and learn with this fun electronic drum kit from VTech! 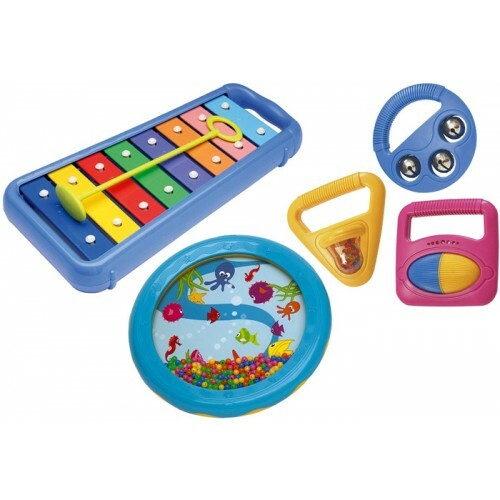 Four different play modes let your child drum freestyle, tap along to nine pre-set songs, or learn letters or numbers as they play. Three drums and a cymbal each play unique sounds, so she'll get hours of play experimenting with rhythm, tempo, and sound! 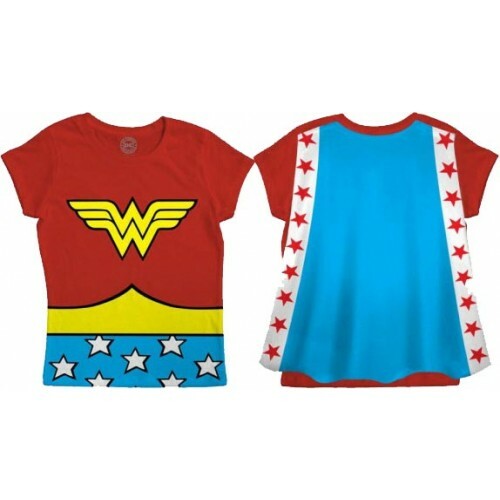 Nine pre-set songs in a variety of musical styles are available to get her drumming away. 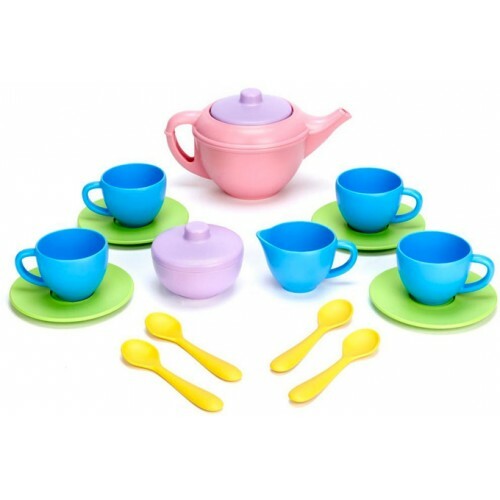 Invite friends to a make-believe tea party and brew up an imaginary pot of tea with Green Toy's tea set. This 17 piece set includes tea pot with lid, sugar and cream bowls, 4 cups and saucers and 4 teaspoons. 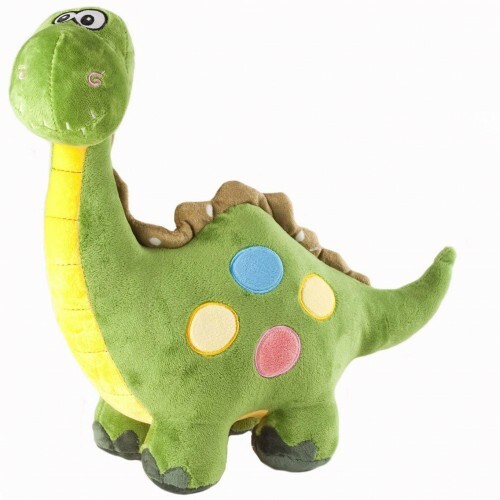 Mom and Dad will love that all Green Toys products are made in the USA with 100% post-consumer recycled plastic. It's tea time! It's a busy day on the Green Toys farm! 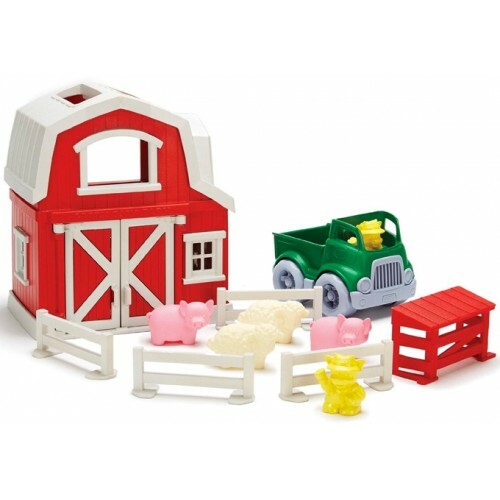 With a barn, a pickup truck, two farmer cows, sheep, pigs, and fences to work with, there's plenty of opportunity for pretend play. 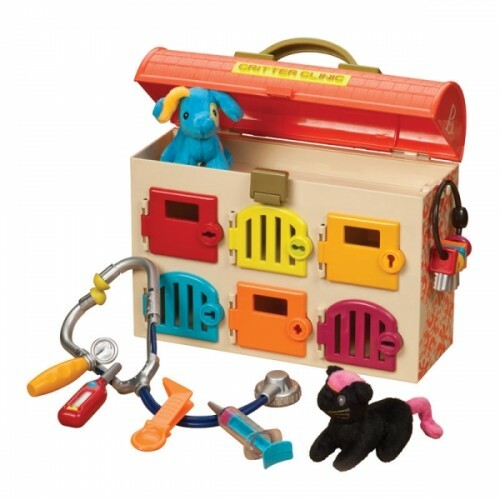 All the pieces fit inside the barn, making it perfect for easy storage or on-the-go fun. 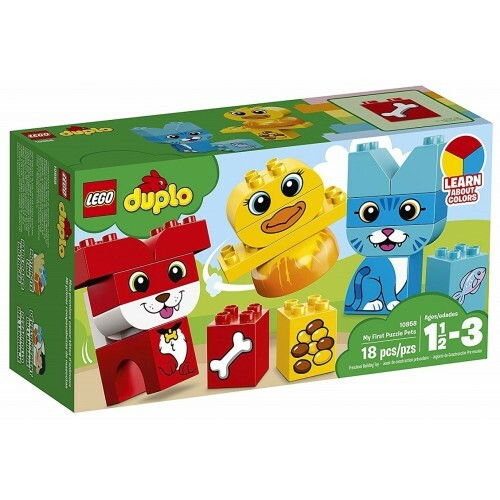 And, like all Green Toys, this set is made from 100% recycled plastic -- no BPA, phthalates, or PVC -- and comes packaged in recycled and recyclable materials. It's a busy day at the Green Toys house! 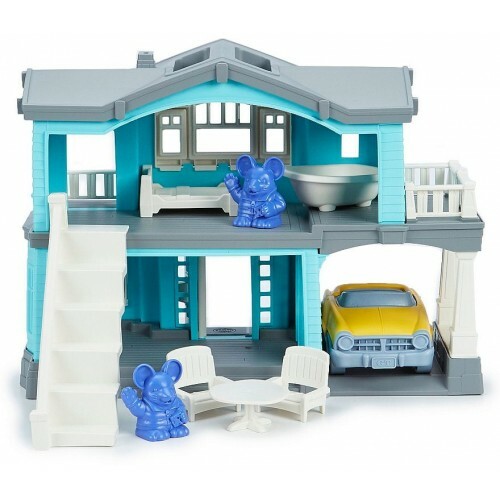 Two little mice have everything they need in this house, including a bed, a bathtub, table and chairs, and even a cheerful yellow convertible. Movable stairs can be placed anywhere on the second level, making this a flexible setup that kids will enjoy changing around. 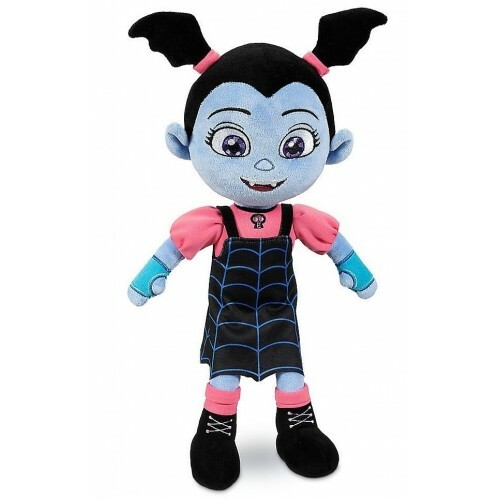 Plus, parents will love that it's made from 100% recycled plastic with no BPA, phthalates, or PVC — and it's even dishwasher safe! 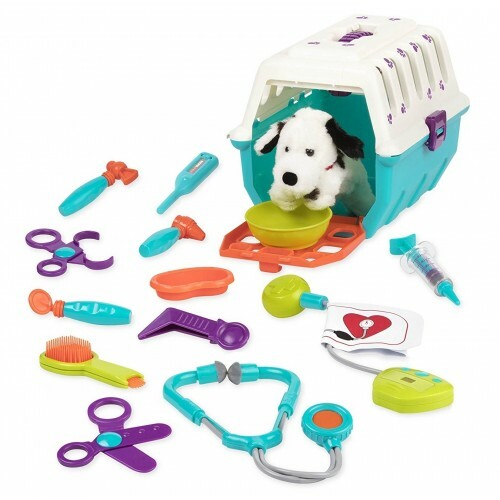 Your young animal lover will have great fun with Battat's Dalmation Vet Kit. 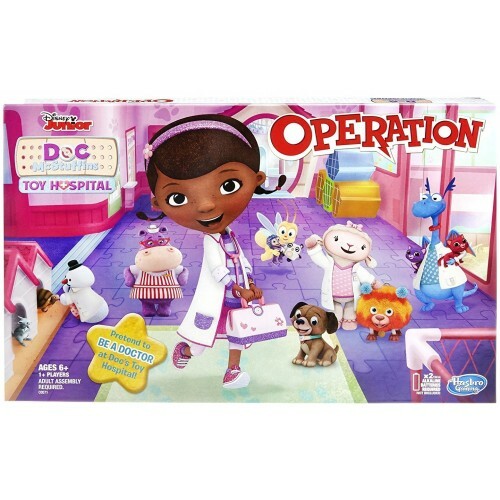 This 15 piece set includes a pet carrier, a stethoscope, a brush, a syringe, a thermometer, a bowl, a tray, a pair of tongs, a mirror, a hammer, a blood pressure meter, a pair of scissors, an ear examiner, and a pair of tweezers — and, of course, a plush Dalmatian puppy patient to tend to! When playtime is done, tuck everything in the pet carrier for easy storage. Take good care of your patients, doc! It's time for some fun with Peppa Pig! 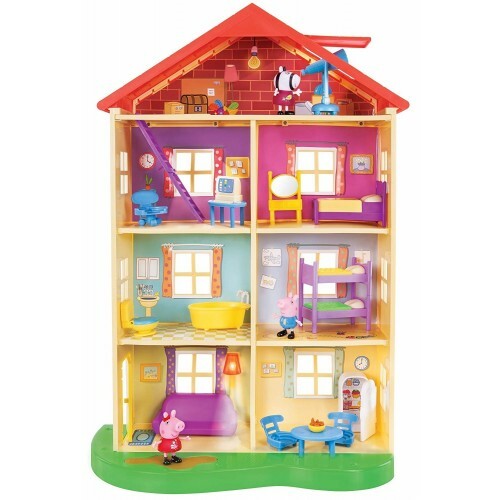 In Peppa's Lights & Sounds Family Home, you can play out all sorts of day-to-day adventures. The 22" house has seven rooms on four different floors. 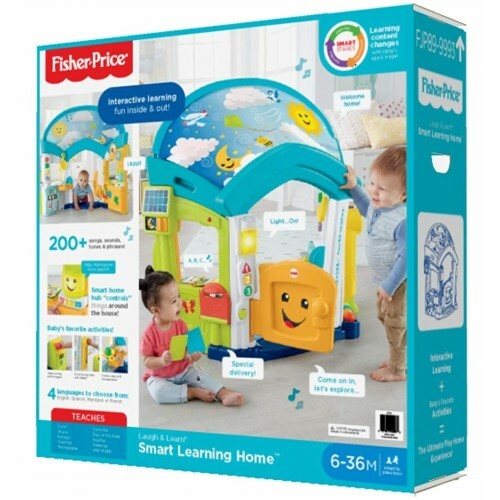 When you step on the doormat, the living room light switches on, and when you jump in the puddle in the front yard, the Muddy Puddles song plays! 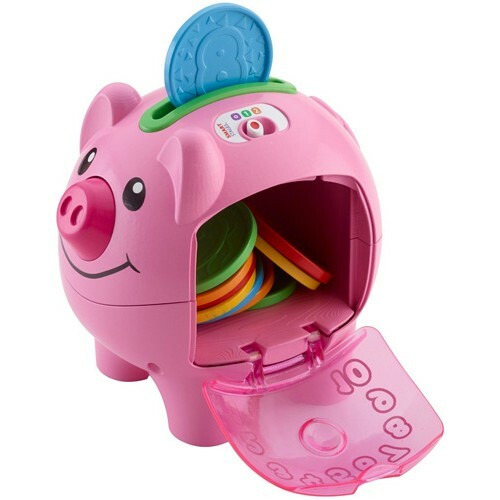 The set includes articulated figures of Peppa, George, and Zoe Zebra for hours of fun pretend play. 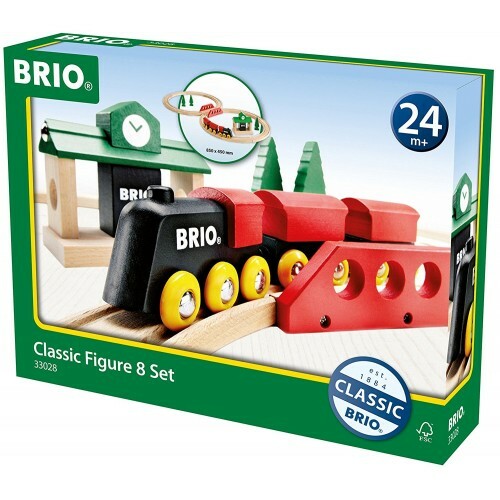 Kids will love getting to be a train engineer with this classic figure 8 train set from BRIO! 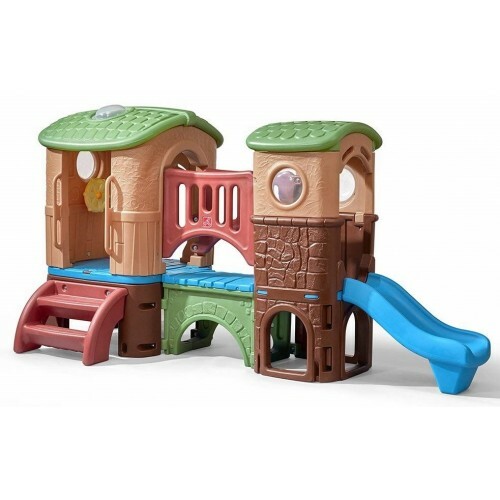 Connect your two train cars to the engine and stop at the station, cross over the bridge, and chug through the forest; then rearrange the pieces for hours of open-ended creative play. 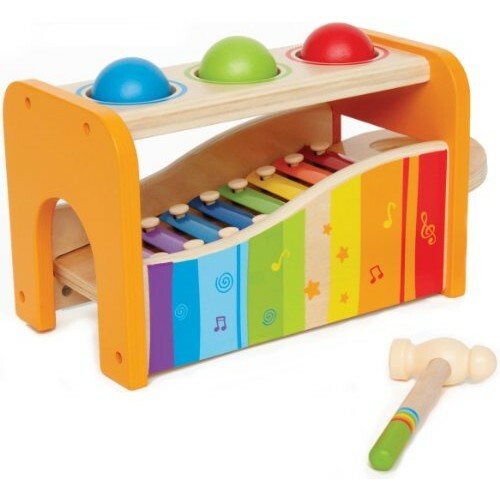 This 22 piece set is made from solid beech wood, painted with six coats of water-based lacquer for a durable and colorful finish. Plus, it's compatible with other BRIO train sets so you can combine them to create the track of her dreams! 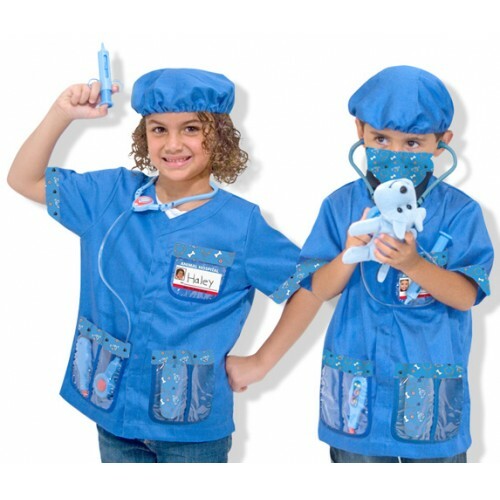 Imagine yourself as a vet with this costume set from Melissa and Doug! 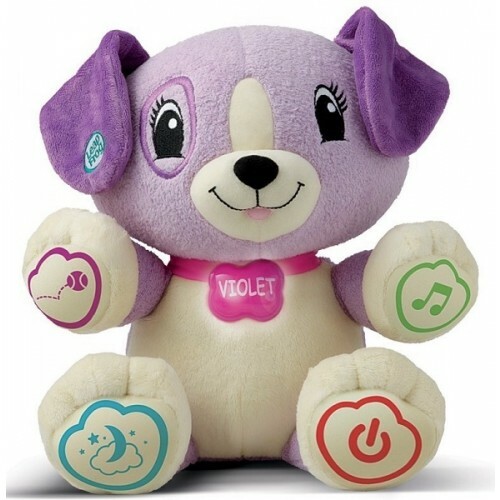 Everything you need for your vet clinic is included, including surgical gear like a face mask and cap, vet's tools including a stethoscope with a sound effect, and a plush puppy patient. You can personalize the name take on the jacket with your vet's own name for an extra special touch! Would-be vets will get hours of fun out of this costume. 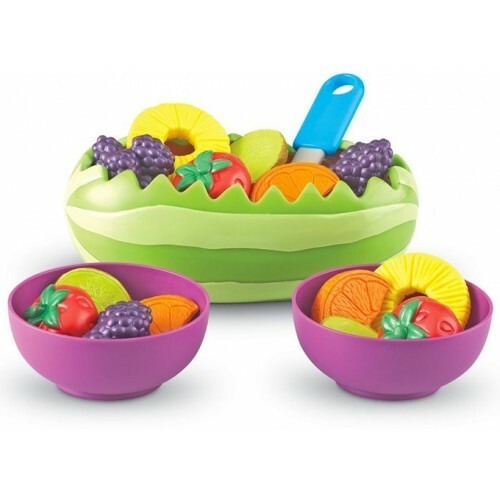 Make a nice, refreshing fruit salad with this colorful set from Learning Resources! Pineapple rings, berry clusters, kiwi slices, strawberries, and orange slices...they all nestle inside a beautiful watermelon boat. Dish some out into the bowls and enjoy! 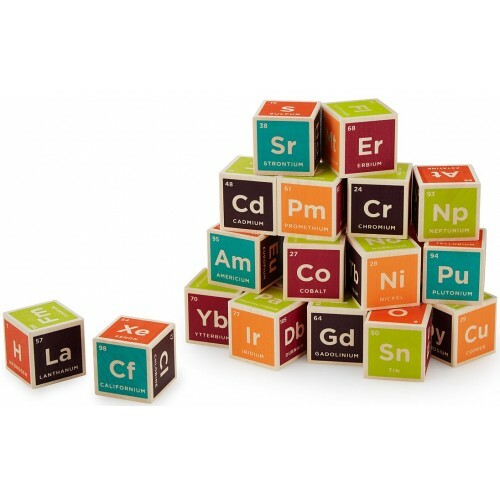 The 18 pieces in this set encourage vocabulary, and they're big enough to be safe for toddlers to play. It's a great way to model delicious, healthy eating. 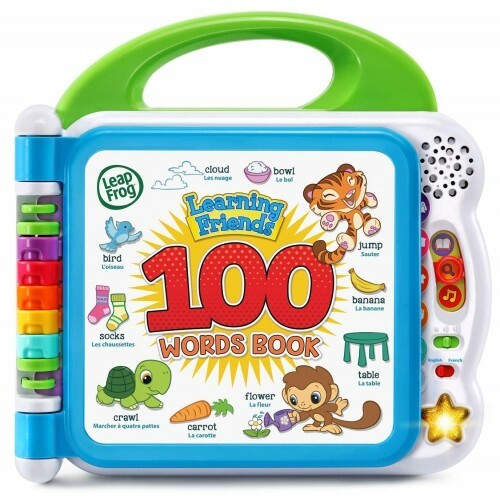 Discover the perfect recipe for number learning fun with this play oven from LeapFrog! 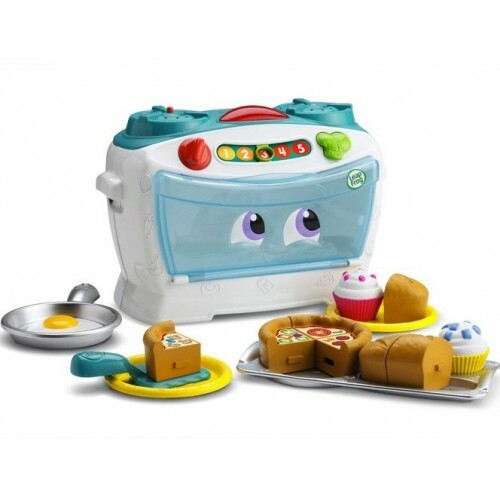 Little ones can move the number slider to learn about time and temperature, cut food into 2, 3 or 4 equal pieces to build math skills, and press the chef's hat to count and sing along to lively songs. 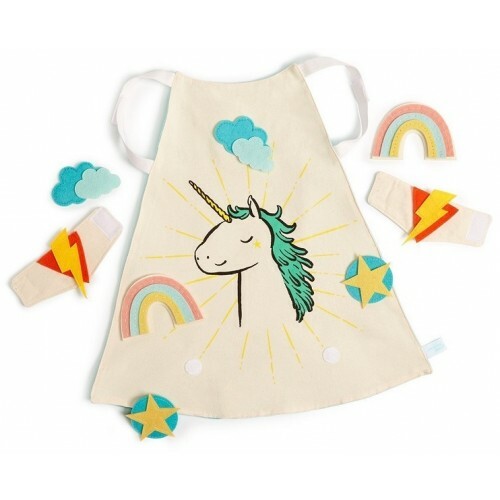 Plus, 16 fun ingredients provide plenty of pretend-play fun for would-be bakers. Learning can be delicious! 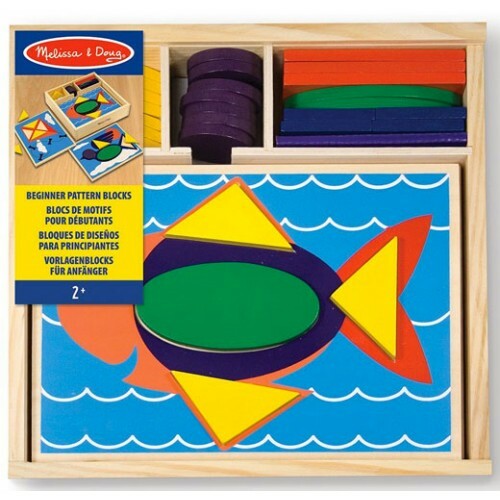 Have some colorful counting fun with this caterpillar from Melissa and Doug! 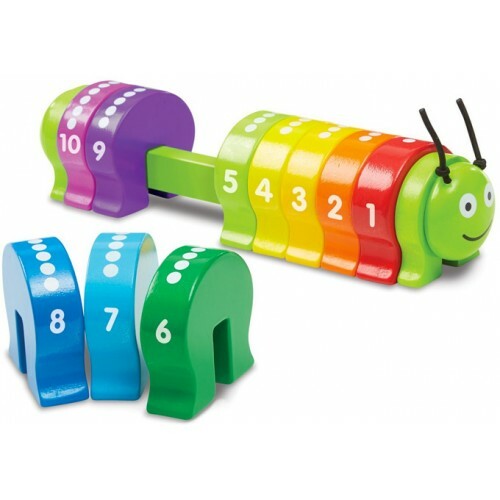 This cheerful character encourages number and color recognition as kids put the caterpillar together in number order. Then, as they get more confident, kids can also experiment with simple math -- and, of course, let their imagination soar as they incorporate the caterpillar into their pretend play games. 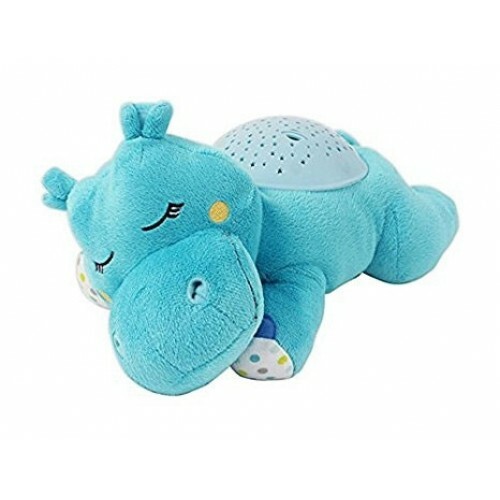 This simple toy is sure to become a favorite. 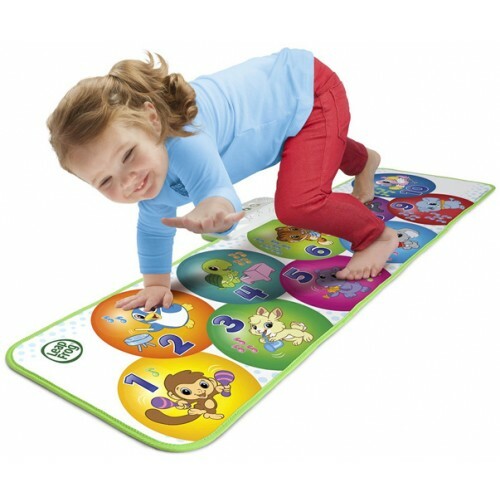 Kids can have jumbo-sized active learning fun with this mat from LeapFrog! 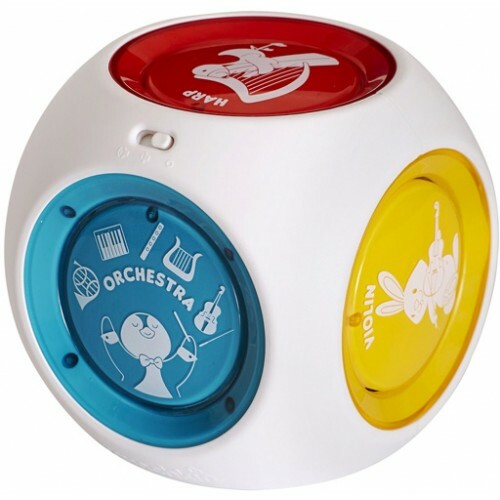 As kid jump on the mat in Explore mode, they'll discover numbers, animals and instrument names; switch to Music mode and each step brings an instrument to life. Finally, Game mode challenges kids to fly, waddle, and more to reach specific numbers. 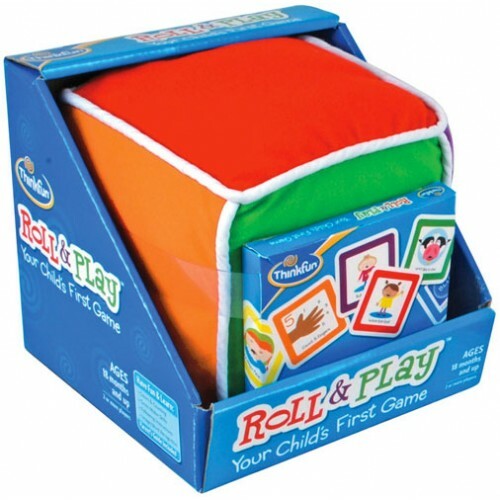 This 4-foot long mat is perfect for combining active play with learning time for busy toddlers and preschoolers! 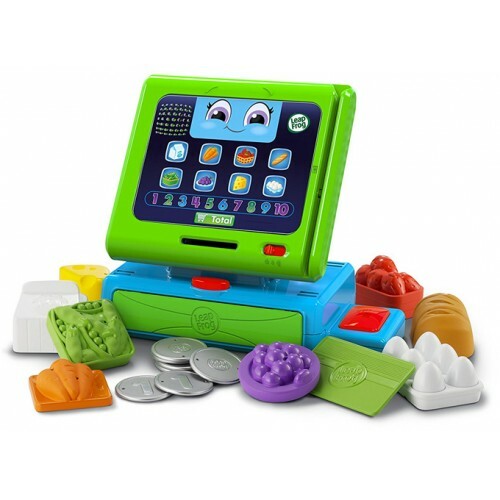 This pretend play tablet from VTech includes tons of learning fun! 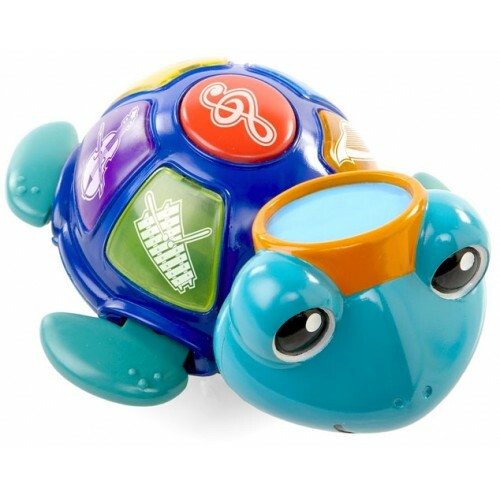 Join Cody the Smart Cub and learn letters, counting, matching, music, and more! 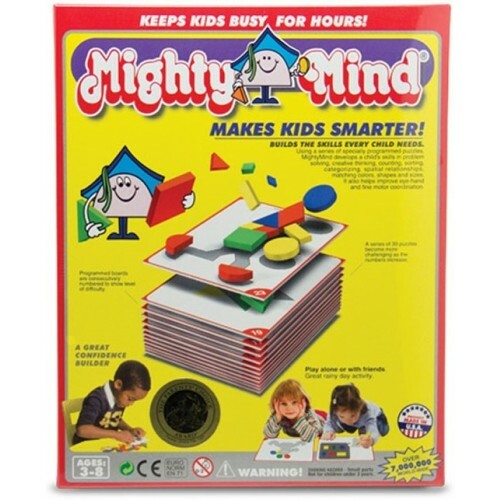 Eight activities have progressive learning levels so this toy grows with your child. 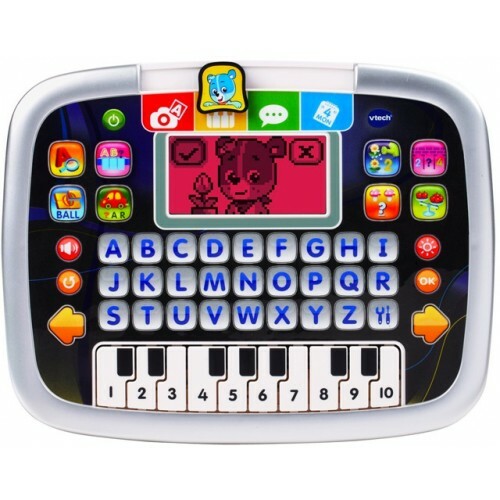 Parents will enjoy features like the volume control option and battery-saving automatic shutoff, while kids will love the color changing screen and piano keyboard. 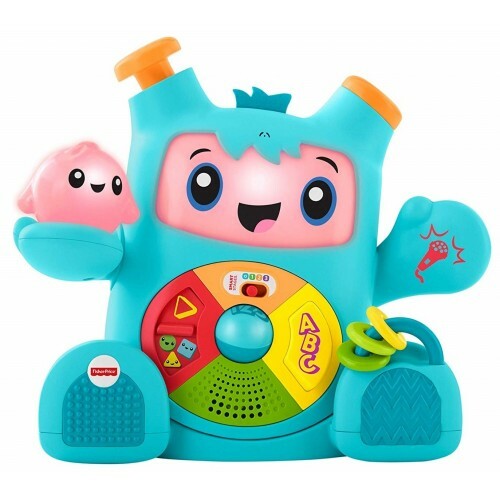 Learn counting skills and have pretend play fun with LeapFrog's cash register which talks, sings, and counts! 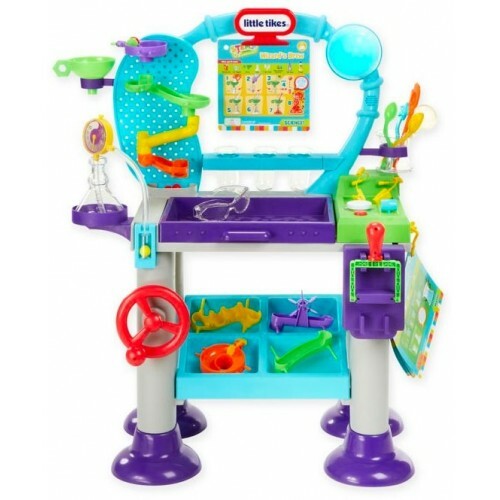 Set up your store with the eight pretend food items, each of which corresponds to a button on the screen that tells you the name and color of the food. 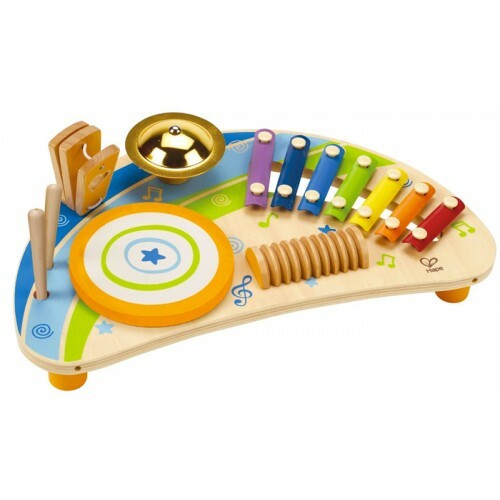 Pressing the number buttons let you hear the numbers 1 to 10 and then starts a counting song. 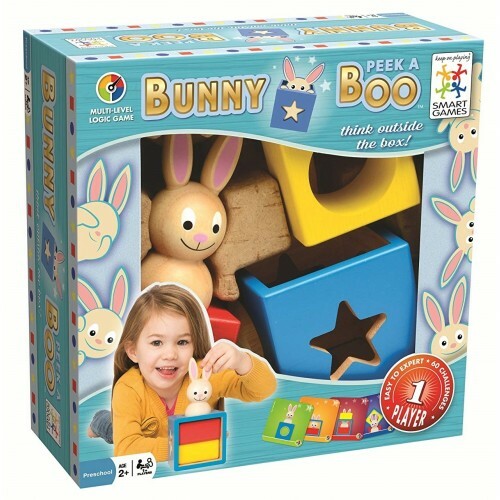 With plenty of clever and funny sounds and phrases, this will keep little hands busy and learning! 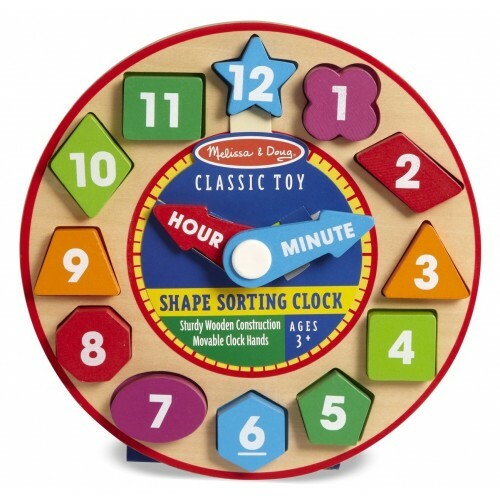 Learn about shape recognition and telling time all in one with this colorful, fun clock from Melissa and Doug! Put the number shapes into the correct slots, then move the clock's hour and minute hands and challenge yourself to identify the correct time. With more complex shapes like octagons and trapezoids, lining up the numbers gets more complicated, sneakily reinforcing number recognition as well. 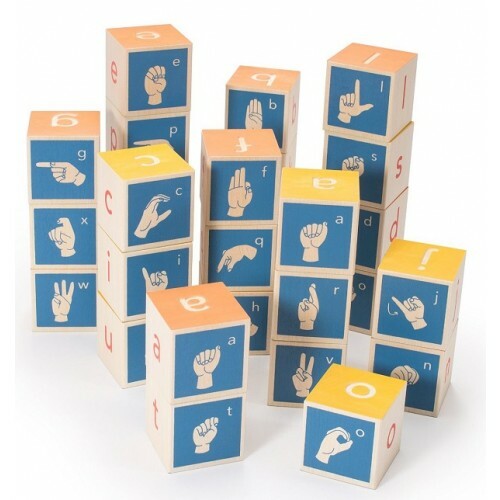 Learn more about American Sign Language with these high quality alphabet blocks from Uncle Goose, which feature both the letter and the ASL hand sign on each block. 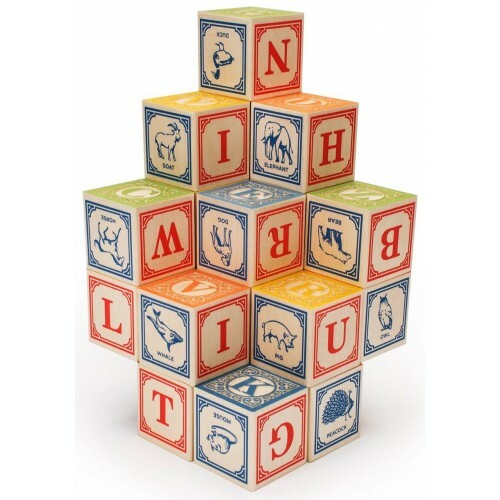 Kids will love the vibrant colors on the blocks, and kids who are hard of hearing or deaf will appreciate having their language included on the blocks as well. 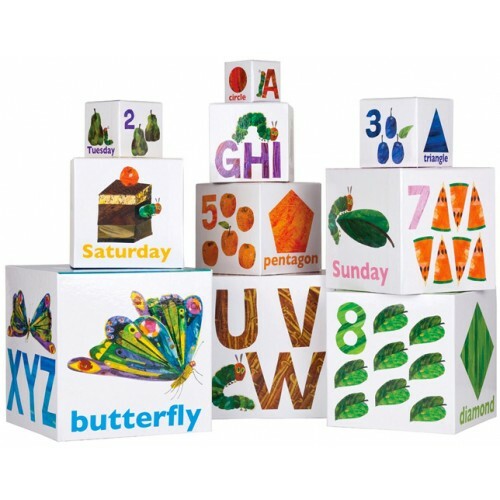 These blocks are made in the USA from sustainable basswood. A friendly horse for a bouncy ride! 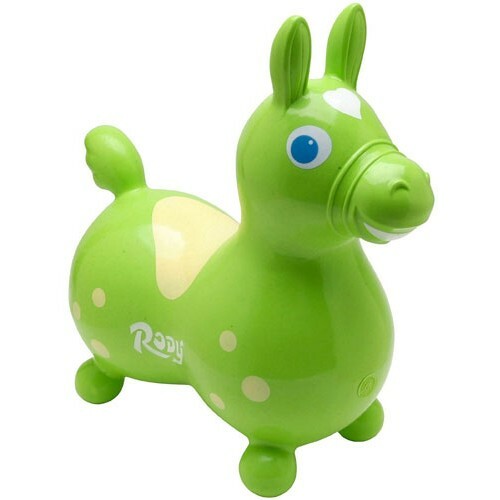 Rody is made of super strong latex-free vinyl, so kids can ride the range with as much enthusiasm as they want. 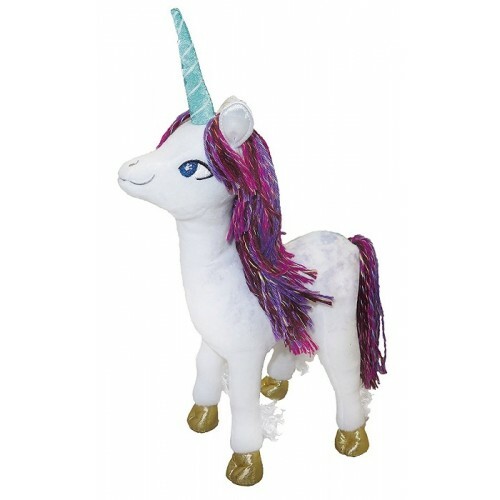 You can inflate the Rody Bouncing Horse to a maximum saddle height of 12", but that's adjustable to the child's height, so preschoolers of all sizes can enjoy this ride-on toy. As they bounce, they're also learning coordination and balance...and burning off energy! 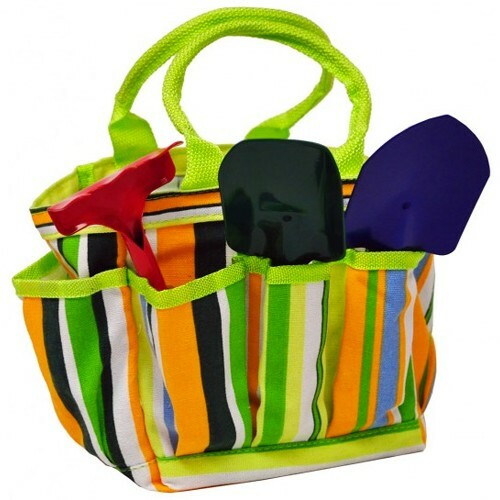 Your budding gardener will love this garden tote with real garden hand tools, properly sized for a child! 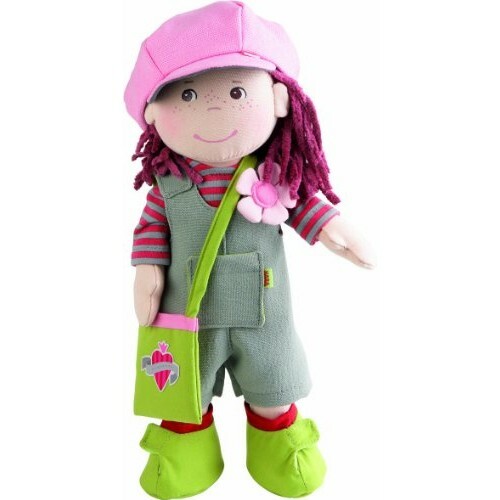 The set comes with a trowel, rake, and shovel, all with metal blades and wooden handles, as well as a colorful canvas tote with plenty of extra room for other things she needs. 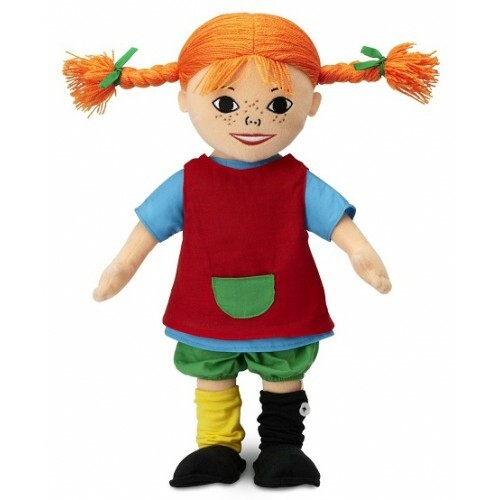 They're perfect for working alongside an adult or for cultivating her own little patch. 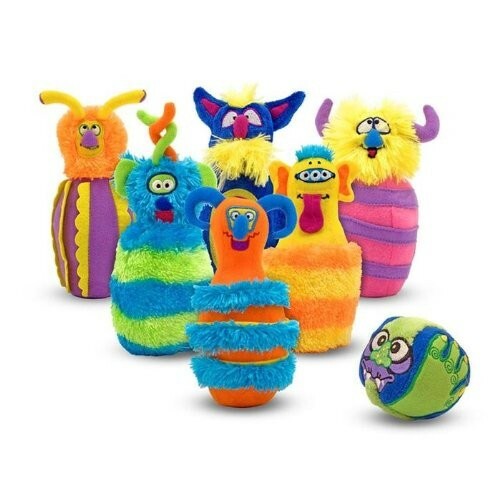 Make bowling a little more colorful with these plush, fuzzy monster bowling pins! Each of the six furry, textured pins features a different monster character, and even the ball has a silly face. 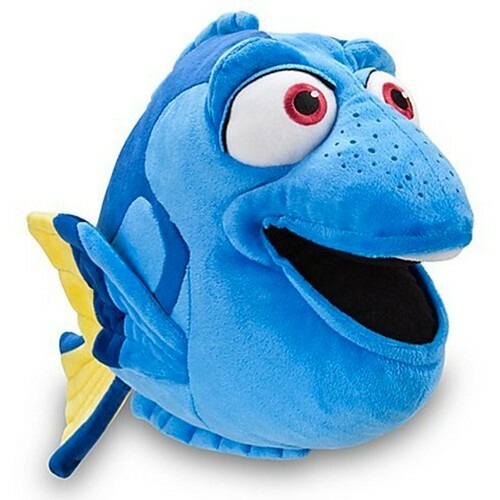 Because it's all made of soft plush, you don't have to worry if someone's throw goes a little off track. 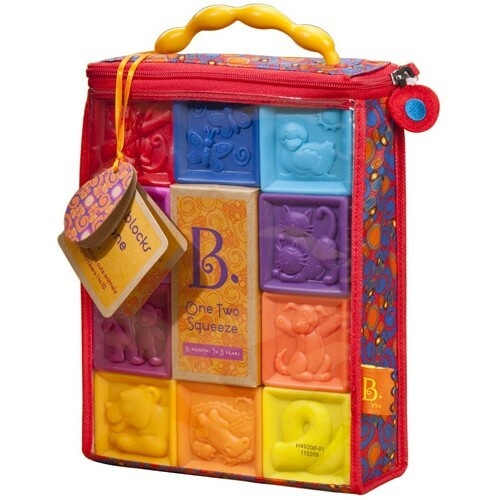 And when bowling time is done, all the pieces fit into a zippered carrying case for easy storage. Bounce, bounce, bounce! 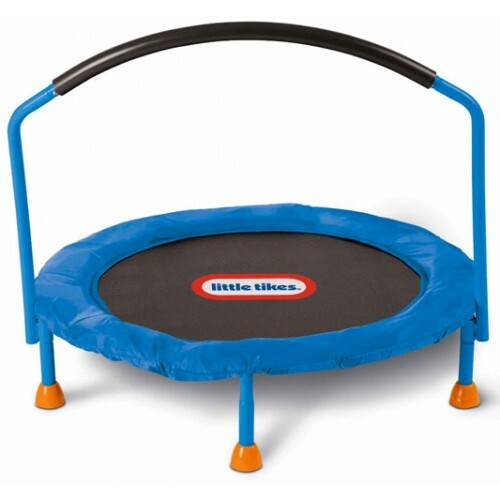 This mini trampoline from Little Tikes is the perfect size for young kids, and even includes a handle to hold for balance. It's a great way to work out your whole body and build coordination, balance, and strength. 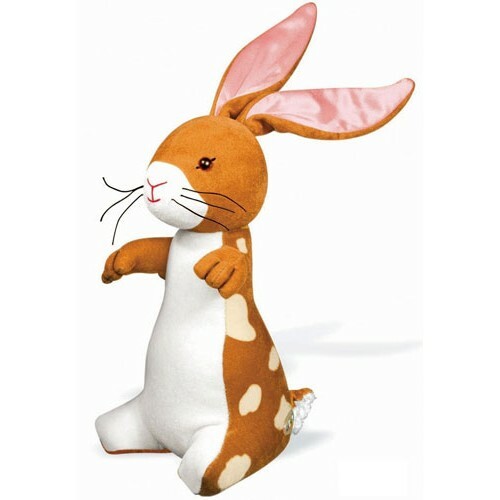 Plus, it's perfect for those bad-weather days when kids are itching to burn off energy! 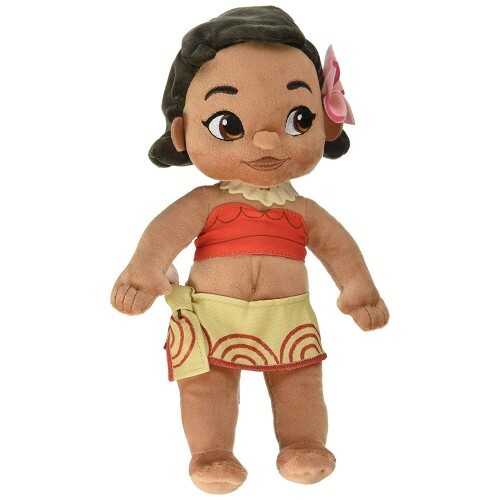 Where will she go first in the Clubhouse Climber from Step2? The stairs lead to an upper-level clubhouse with a captain's wheel, windows, and skylight. plus a little slide for a quick exit. From there, cross the bridge to explore the lookout tower's windows and slide. 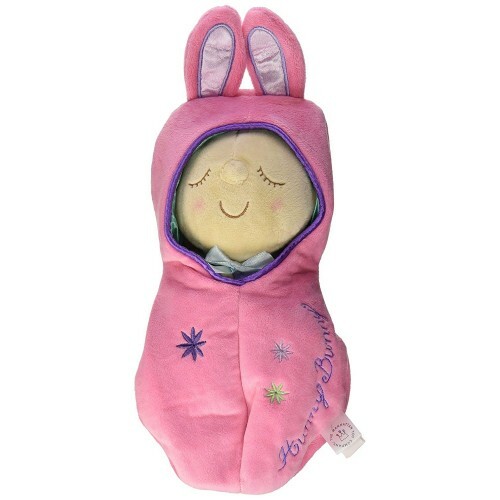 Or, she can head down to the lower-level tunnels for a game of hide and seek or peekaboo! 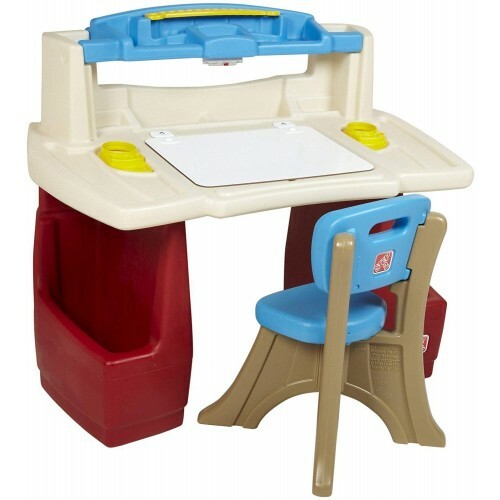 Like all Step2 sets, its non-slip stairs and easy-grip handles keep kids safe as they climb, while the study, fade-resistant plastic ensures kids will enjoy years of play. 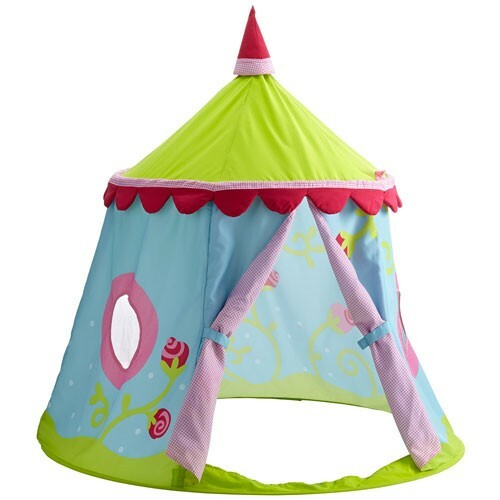 Kids love crawling through tunnels, especially a bright colorful one like this one from Pacific Play Tents. 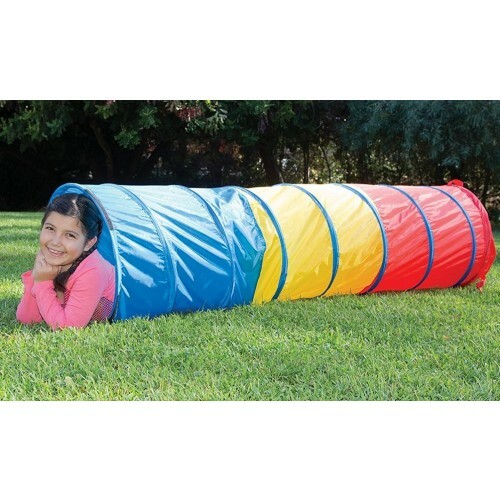 This six-foot play tunnel is suitable for indoor or outdoor use, and collapses flat for easy storage when playtime is done. Padding for the sturdy spring frame and tough, flame-retardant nylon fabric ensure this tunnel will hold up! 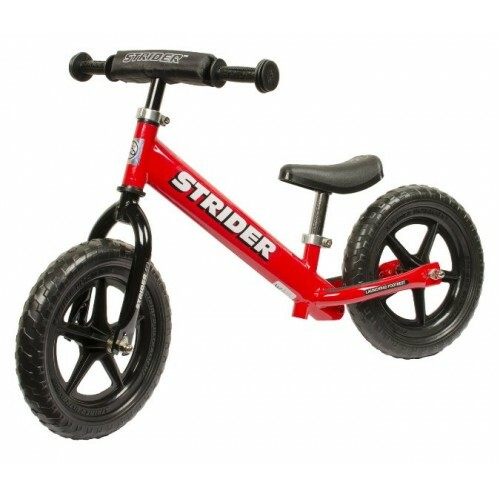 The fast, fun, kid-powered scooter! 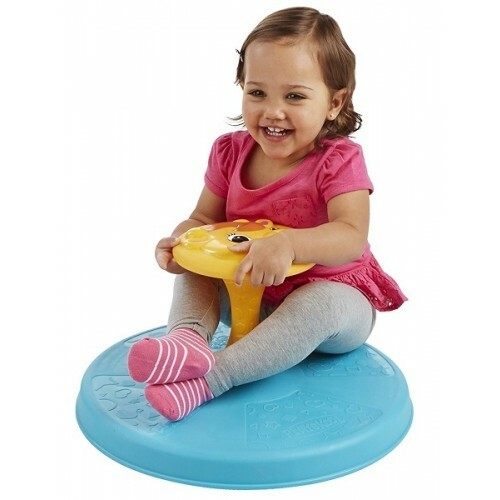 The Flying Turtle is perfect for indoor or outdoor play; the polyurethane wheels will work on most flat surfaces and won't mark floors. Kids move the scooter by swinging the handlebars side to side. 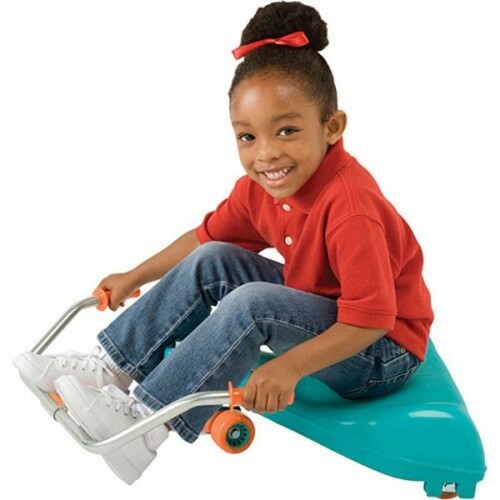 Since kids are low to the ground on this scooter, you don't have to worry if they take a tumble! It's sure to provide hours of active play. This retro pedal car gets a makeover with a fire-engine paint job! 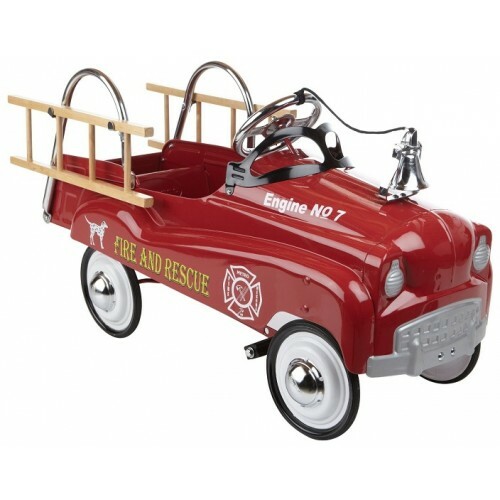 Based on the design of the "Dip Side" pedal car from the 1950s, the modern version adds a slick red paint job with fire and rescue details, as well as removable wooden ladders and a bell on the hood. 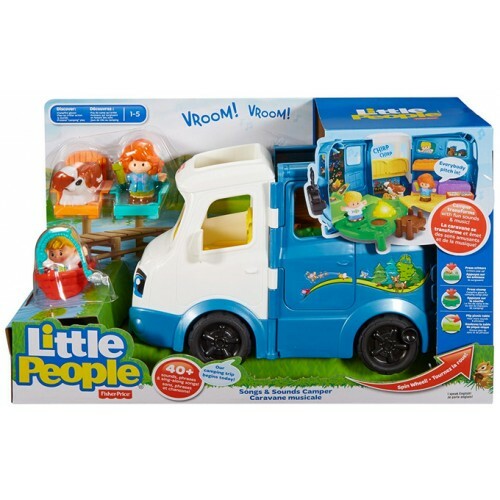 A small storage compartment behind the driver's seat lets her carry all the rescue gear she needs. 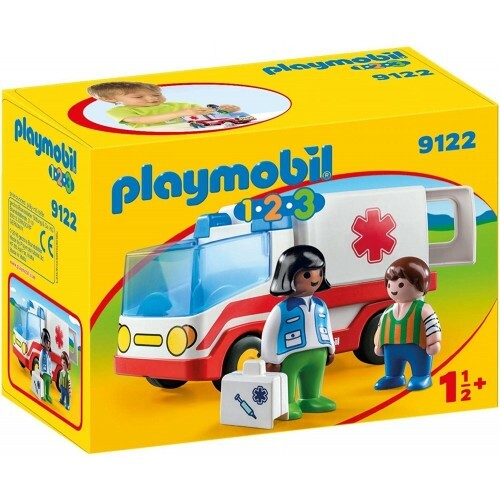 It's the perfect ride for a budding young firefighter. 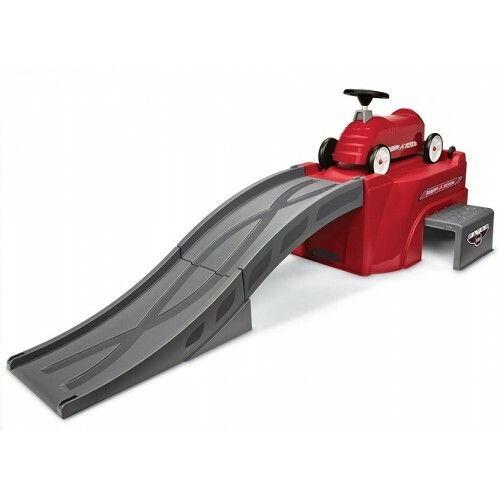 Get ready for the races with this versatile car and track set from Radio Flyer! 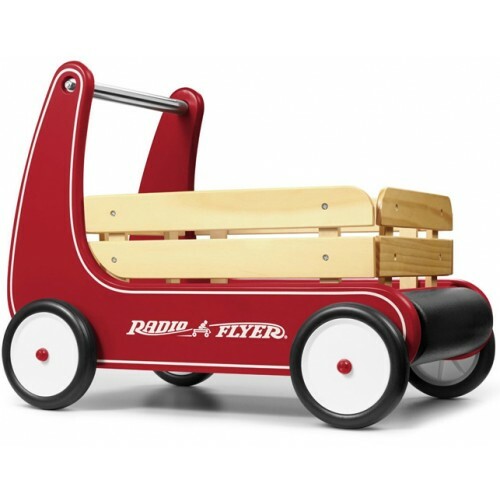 The Radio Flyer 500 set includes a shiny red ride-on car and a six foot long racing track. 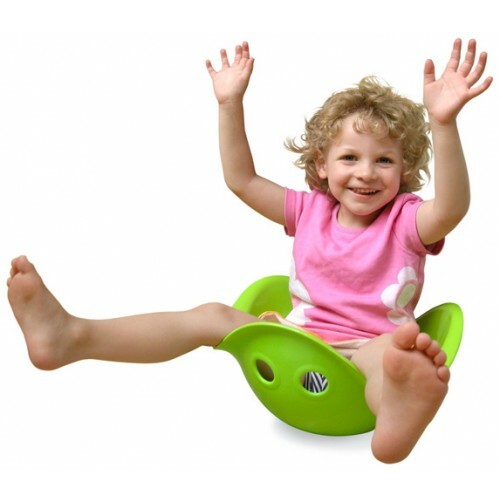 Pull out the step, climb on the car, and glide down -- or ride the car on its own. The racing track doubles as a dual track for toy cars; you can race a friend and see who gets down first! 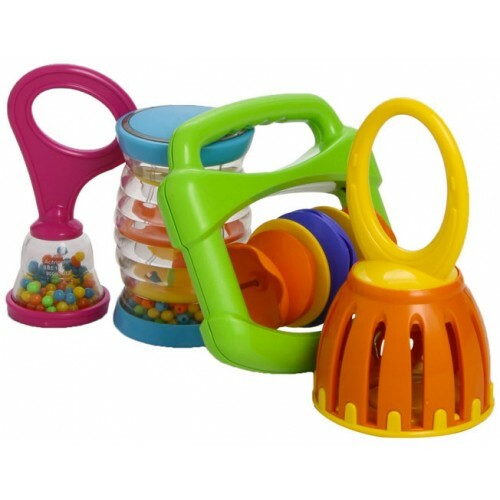 When playtime is done, everything packs up neatly for easy storage. 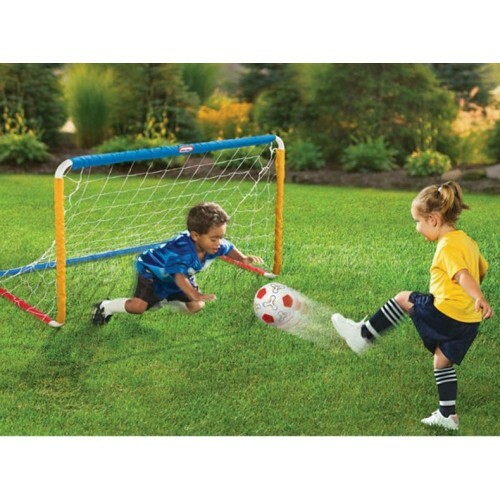 Get ready to get in the game with Little Tikes' soccer set! A sturdy but lightweight metal goal with two height settings lets you set up to practice your shots or goal keeping in no time, while the kid-sized soccer ball is just the right size to help kids perfect their technique. 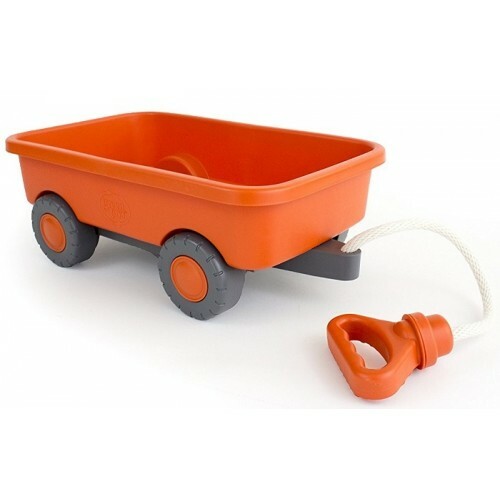 A ball pump ensures you don't fall flat! Kids will love getting to practice "real" soccer at home.